You can say a lot of things about this town, but one thing is clear: Fourth of July is our holiday. 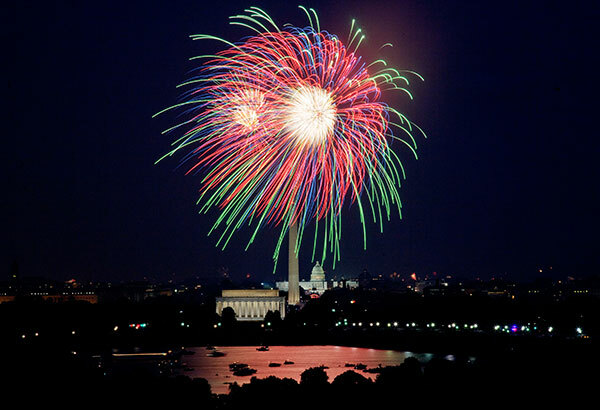 No one rocks Independence Day quite like we do, thanks to the hardworking people at the National Park Service who manage our National Mall and help stage a blockbuster fireworks celebration there that rivals any around the globe. Coming to “America’s front yard” for the festivities? The NPS National Mall app is a must-download. It offers on-the-go access to sightseeing information, maps, and customizable self-guided tours for iOS and Android users that uses your phone’s geolocation feature to identify all the cool landmarks and monuments along the Mall. If you’re in town for a few days, you really should try tour of one of the most recognizable buildings in the world: The U.S. Capitol. This April, the Architect of the Capitol launched a Capitol Visitor Center app to give mobile users everything they need to know about booking the free tour, what you’ll be seeing (the Dome alone will stun the pants off you), and most important, how to get through security without ending up as CNN Breaking News. Plus: Be sure to download the companion mobile guide for the spectacular National Statuary Hall that tells the stories behind the statues that represent each state. This Independence Day, join the MobileGov team as we celebrate America as the land of the free government apps! You can download them today from USA.gov Apps Gallery.